The Spectra sundial on the window frame is beaming a brilliant prism display of rainbow colors into the playroom. 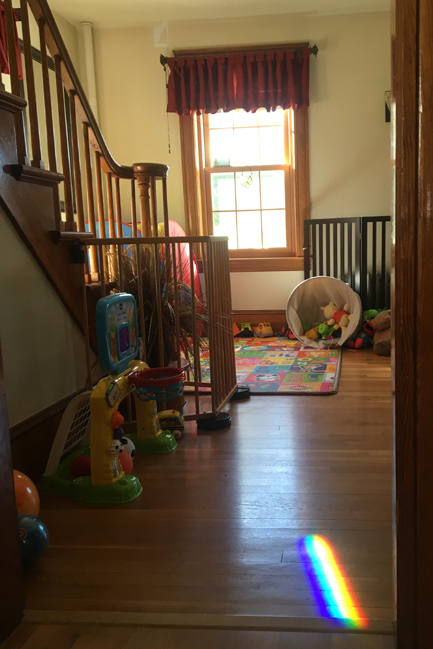 The colorful spectrum on the floor is easy to see, but this wise couple put their anniversary Spectra sundial up high and out of their child's reach - can you spot the Spectra anniversary sundial on the window? Look close!